Zeeba is an artist, metaphysical teacher, and multi-dimensional healer. 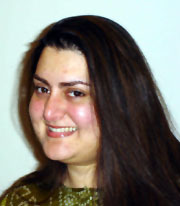 She has studied various healing modalities, ideologies, and philosophies, traveling around the world from an early age. Zeeba is an urban shaman, bridging the gap between the seen and the unseen worlds using tools and techniques she has learned and honed over time. Her multi-modal practice specializes in shedding "stuckness" and removing blockages on all levels. Her artwork is vibrational in nature and assists in facilitating personal transformation. She also offers breath, sound, and movement therapy aimed at aligning mind, body, and spirit. Zeeba has distilled the information and teachings she has learned into a style of her own that focuses on soul-centric evolution. She models her teachings on the paradigm that humans, nature, and spirit live cooperatively and sustainably. Accordingly, she offers programs that bridge the gap between spirit and form, working co-creatively with nature and spirit. She offers classes in: Applied Kinesiology, Energy Psychotherapy, Shamanic Journeying, Space Clearing, Sound Healing, Crystal Healing, Sacred Geometry, Reiki, Light Language, Vaastu, and Vedic Numerology. Learning with Zeeba is dynamically engaging and highly experiential in nature.